A dead fisherman, a desperate poacher and a broken romance are all bound by a single theme: the curse of the abalone. Prized as an aphrodisiac in China, illegal harvesting of the endangered marine snail is destroying the fishing communities of South Africa. The gripping and nuanced doc follows three families torn between tradition and the promise of new-found wealth, and caught in a battle with a corrupt and brutal police force. "They say he got tired and drowned... it's impossible. I'll never believe them", mutters Tim, staring blankly out to sea. "That's where the police rode circles around him, where those birds are", he sighs. A year ago Tim's son Steven, an Abalone fisherman, died in mysterious circumstances following a hi-speed police chase. The official records state he drowned, but Steven's family maintain that he was an innocent victim of a brutal police force, instructed and determined to persecute local fisherman. Eight years ago hunting for Abalone was outlawed in South Africa, and overnight innocent fisherman were turned to 'poachers'. For many seaside communities, this new legislation threatened an entire way of life that stretched back generations. "They say Abalone is endangered... maybe it is, but a man's gotta work too", complains Sherman. "We don't want to poach. We didn't ask for it. Our father's fishing quotas were taken away and we were left with nothing, so we did what we know best. You made us poachers", he protests. With no other means of supporting their families, fisherman like Sherman must keep hunting Abalone, risking imprisonment, police brutality, and their lives. "If the government would invest in us, then we could look after ourselves...that's all we want." "I wan't to leave but I can't. I swear I've been cursed, or this place is haunted", laments Ellen. Married to a struggling Abalone poacher, her family can no longer make ends meet: with a young baby, both she and her husband have turned to drugs in desperation. The ban on Abalone has torn apart her life and her community, as her once peaceful and prosperous village slips into despair. "We have no money... nothing. I don't know where everything went wrong". Three families fight to survive as their traditions and their livelihoods disappear. 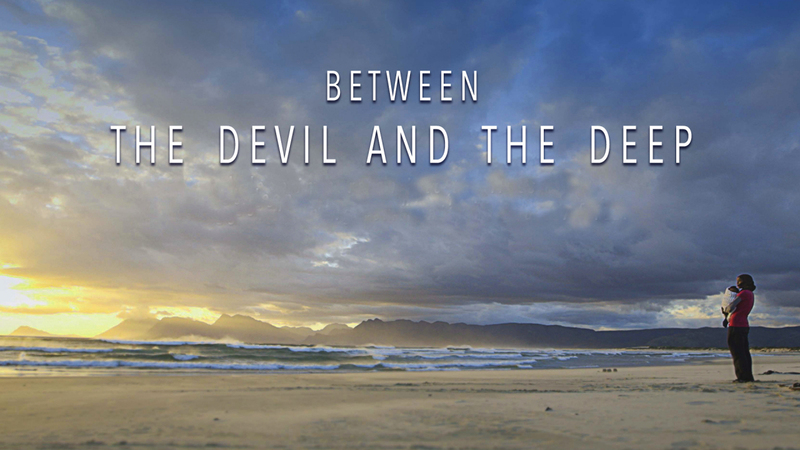 Heartbreaking and poignant, Between the Devil and the Deep lays bare the tragedy of the Abalone.